Organically Structured Social for Your Success! Analyzation of your stats dictates the what, why and when of our Facebook program. the visual needs and what will truly compel your audience to scale your social! All Facebook plans include your content creation, optimized hashtagging and brand mentions and image selects. Although a part of Facebook now, Instagram still has their own rules. Good thing for you, iHeart Marketing knows them too! Our monthly packages include post times that are dictated by your followers and their activity times to get you the best exposure. Hashtag curation for each post and brand-based mentions when applicable to your visual content. Daily posting multiple times per day is required to soar ahead of your competition now. We post 3-4 times a day but this is dictated by your individual newsfeed. Purchase more than one month with your first purchase and receive a FREE Profile Optimizing Refresher! iHeart Marketing approach to Pinterest is different than other platforms. Pinterest caters to search engines and is not so social. Enhanced pinning includes over 10 posts per day and a weekly board audits (if needed). your other social platforms is seamlessly integrated. reach in all the right places… even with the google bots for your SEO! Connect on the world biggest professional platform LinkedIn. Create engagement and increase your connections. like-minded individuals that are of interest to your business. 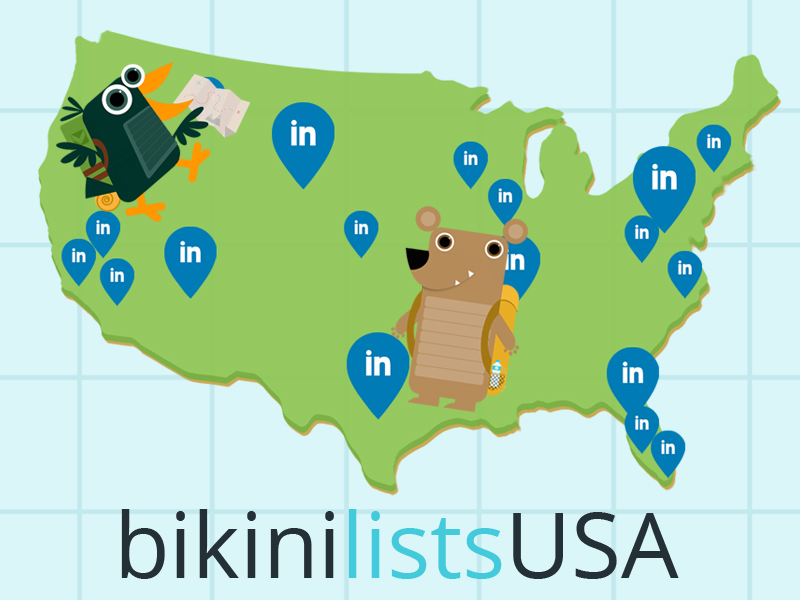 Photographer, Illustrators, Artist Reps and Stock Houses Manage Your LinkedIn Easily with BikiniLinks!